Which White-eye was that? Endemic birding in Tanzania! 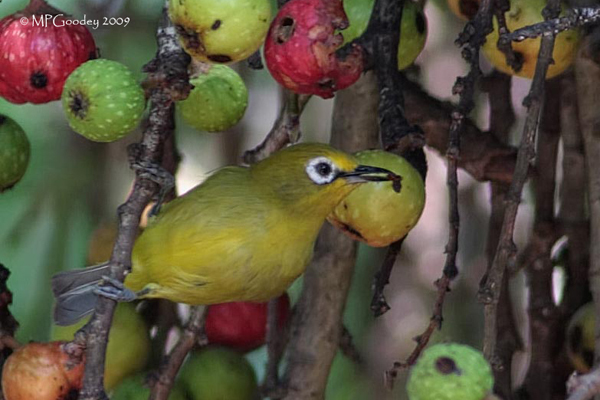 The White-eyes remain highly successful birds. Morphologically very similar to one another, they are a group of primarily ‘Austral Old World’ passerines that have adapted, by virtue of a filamentous tongue, to exploit a wide variety of nectar sources in forest, woodland, scrub and garden. However unraveling the evolutionary relationships within the Zosterops is a complex business. They have to all intents and purposes defied rational analysis until the advent of mitochondrial DNA studies in the last fifteen years. Now at last we appear to be making some progress, but inevitably the field guides and apps that bird-watchers are using, especially here in Africa, lag way behind “the current state of our knowledge”. So wrote Don Turner, David Pearson, Dale Zimmerman et al. in the unabridged (i.e. the hard back edition) and, as yet, I would say indispensable “Birds of Kenya and Northern Tanzania”. This volume remains the original and best bird guide for anyone visiting northern Tanzania. The only field guide that has detailed these all important ‘subspecies’ and described their distributions. Full awareness of, and deliberate attention to so-called subspecies was first made clear to me long ago by Chris Heard, as we were watching vagrant redpolls on the Isles of Scilly, and its importance was reinforced by Phoebe Snetsinger, in Ethiopia in 1994, who with handwritten subspecies card index in hand, fully appreciated their importance to the dizzy ambitions of world bird listers. Now I am posting here eight photographs, by my good friend Martin Goodey, that portray four African White-eye taxa. One taxon (or – if you prefer – you may call it a subspecies, or even a race) was photographed in the Gambia in West Africa, whilst the remaining three taxa were captured here in Tanzania in East Africa. 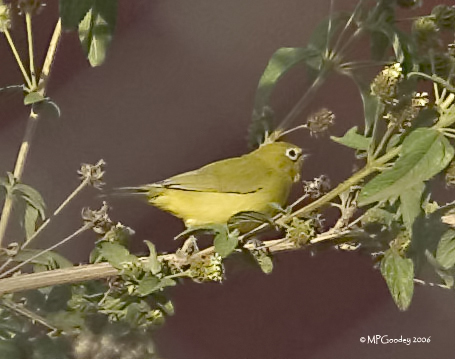 It seems that “originally”, in the lumping mind-set that was fashionable in the days of the previous Cold War, all the mountain White-eyes of East Africa were treated as conspecific within the widespread lowland Yellow White-eye known as Z. senegalensis. Later, an alternative treatment was adopted where many of the various non-intergrading mountain populations were treated as subspecies of a distinct montane species referred to under the oldest name Zosterops “poliogaster”. 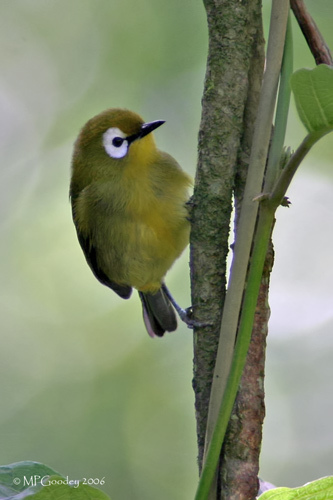 Even today quite similar looking populations of white-eyes, resident in montane forest areas in parts of Kenya and in southern and eastern Tanzania, are still subsumed within Yellow White-eye – and referred to as Z. s. stierlingi here in Tanzania, and in Kenya as Z. s. jacksoni. Unlike taxa within the poliogaster group, these birds are not confined to a single mountain, or to clusters of northern volcanic mountains but have a wider range across several, primarily ancient, highland blocks. 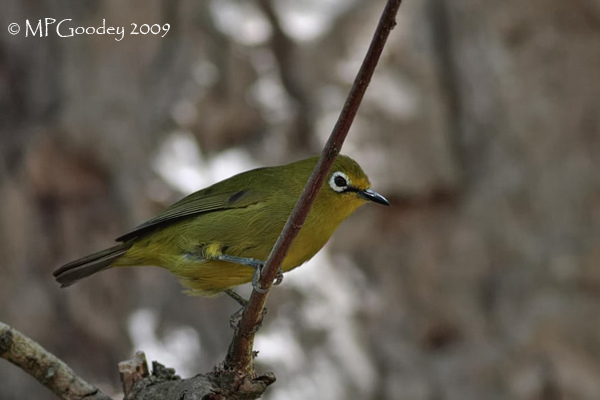 We’re not 100% sure but we think that it was for this reason they were kept in Z. senegalensis rather than being transferred into the Montane White-eye assemblage – Z. poliogaster. So if you’re coming to Tanzania, or to southern Kenya, and are unable to travel with “Birdman”, here are some things to bear in mind when you see one of our white-eyes. Simply put it seems that we have at least “nine good taxa” occurring here in Tanzania. NB: Any unfamiliar modifier name written below is one of mine! Maasai White-eye Z. [abyssinicus] flavilateralis – savanna woodland and gardens of the Central Steppe of Tanzania northwards, and occurring seasonally (from early June to late November) around the volcanos of Meru and Kilimanjaro, and on into southern and eastern Kenya. South Pare White-eye Z. winifredae – an extremely localised endemic, found only in the forest reserves on the top of the South Pare Mountains. Volcano Mountain White-eye Z. [poliogaster] eurycricotus – montane evergreen forests of Mount Meru (today these forests are largely confined to the security of Arusha NP), of Kilimanjaro, and of the nearby volcanos of Essimongor, Lossogonoi and Lolkisale. Rift Mountain White-eye Z. p. mbuluensis – montane evergreen forest of the Ngorongoro Crater Highlands, the volcano of Kitumbeine to the east of the Rift Valley and the crystalline mountain of Longido which is immediately east of the Nairobi-Arusha highway south of Namanga. 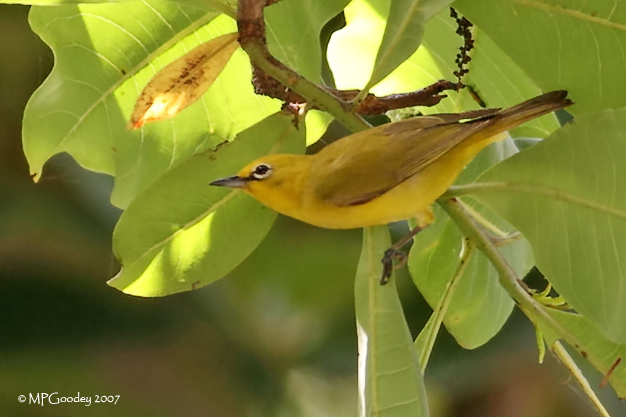 Pemba White-eye Z. vaughani – widespread endemic in relict forest patches and gardens of Pemba Island. Arc Mountains White-eye Z. [senegalensis] stierlingi – forested uplands of Southern and Eastern Tanzania, mostly above about 1,000 metres, the Iringa highlands, Udzungwa, Uluguru and Usambara mountains (both West & East). Also found in the highlands in Malawi, Eastern Zambia, northwest and west Mozambique. Rich green upperparts, not as dark as in jacksoni, less yellow on the forehead, supra-loral stripe narrower, yellower below, with slightly less green on breast sides and flanks. Unfortunately, on the routes that I usually guide I have only limited field experience of the final three taxa which in the books are retained within “Yellow White-eye”. 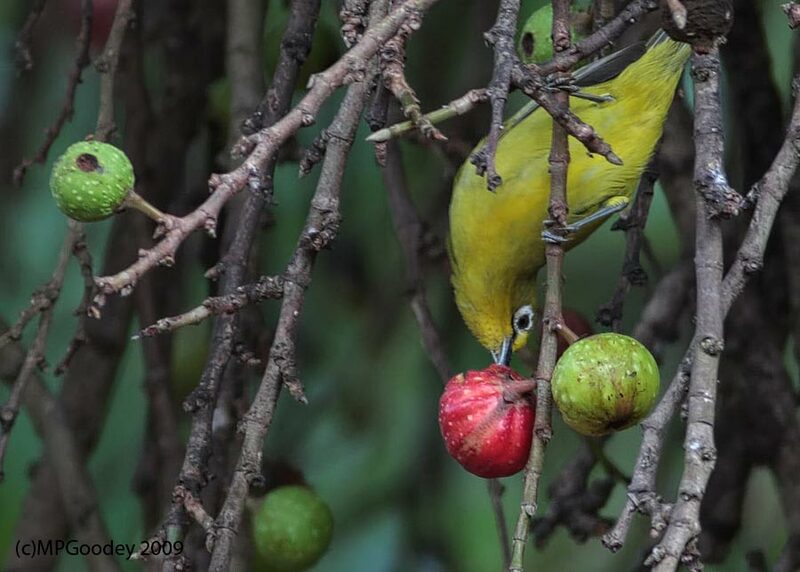 Yellow White-eye Z. senegalensis stuhlmanni – North-west Tanzania. Yellow White-eye Z. s. jacksoni – Kenya highlands, Loliondo highlands, possibly southwards into Ngorongoro Crater highlands. Green breast sides and flanks contrast with bright yellow chin, throat, centre of breast and belly. Maasai White-eyes (as I now prefer to call them – in the books “Abyssinian” , but not when I’ve seen ’em first … ) at Magongo Hill. An early Anabel Harries photo of course – superb. 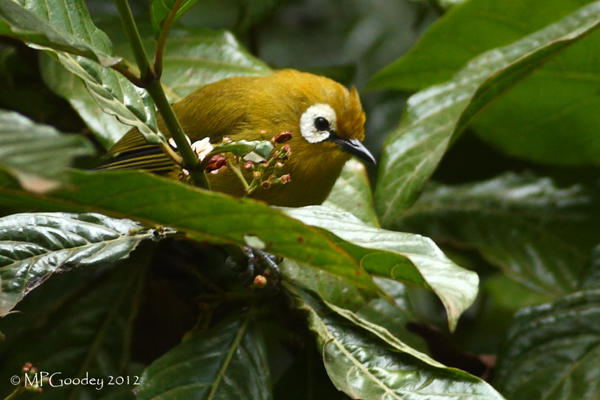 Another of Anabel’s Maasai White-eye photos from Magongo Hill. This was her “local patch”, it’s on the western outskirts of Arusha, and is where Pete Davidson and I go birding, whenever we can get away from these silver screens. This photo shows the form eurycricotus that is easily found on the tourism and safari circuit in Northern Tanzania (for a price) at Mount Kilimanjaro, or better yet on the upper forested slopes of Mount Meru in Arusha National Park or above my house, on the western slopes at Ngaramtoni. Zimmerman et al. 1996 “Note yellow on forehead, little on underparts“. See plate 124; Northern Tanzanian Birds on page 300 in Don Turner, Dale Zimmerman and David Pearson’s indispensable hardback edition of The Birds of Kenya and Northern Tanzania. When you come on safari to Tanzania, and if you not traveling with me, don’t make that all too frequent and perfectly understandable mistake of trying to make do with the one book, the deceptively simple Helm-style: map-text-plate layout of The Birds of East Africa by Terry Stevenson and John Fanshawe. The maps are terrible and many of the passerine plates in particular have been printed so dark that they are woefully misleading. Remember this: in Africa things are seldom how they appear at the surface and, one might say, you have to dig to get to the hidden truth. 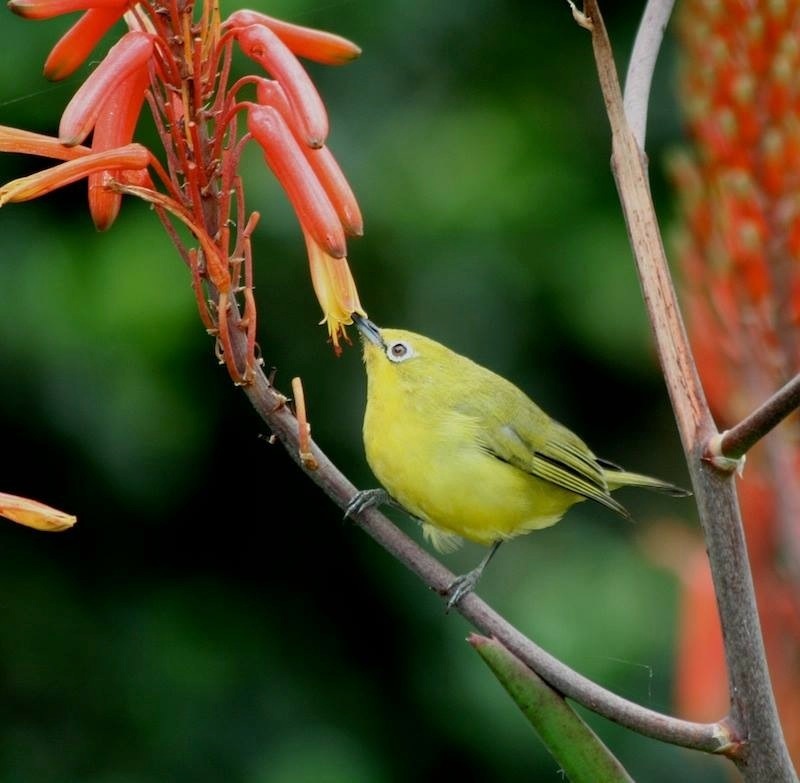 Arc Mountains (Yellow) White-eye Zosterops [senegalensis] stierlingi described as “common in eastern Tanzania” yet we see this taxon only in the Usambara mountains, above 1,000 metres .. “darker on the flanks, deeper yellow on the belly” – Zimmerman et al. 1996. 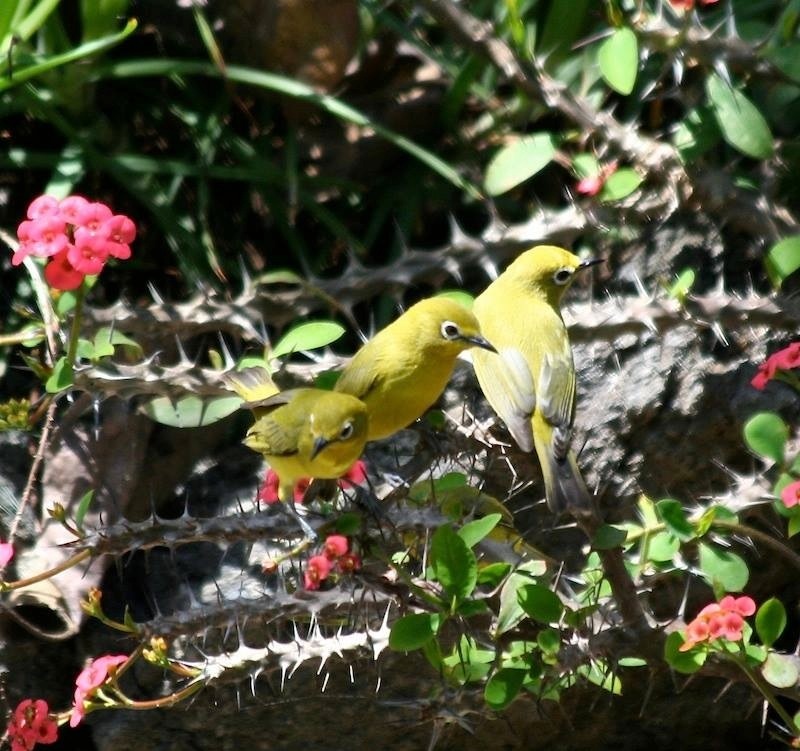 Two more individuals of the Arc Mountains (Yellow) White-eye Zosterops (senegalensis) stierlingi from the West Usambaras in the mountains of the Eastern Arc. Finally a nominate African Yellow White-eye Zosterops senegalensis senegalensis ‘captured’ by Martin Goodey in Casamance (itself currently lumped with Senegal !) in the far, far West of Africa – over ten hours of flight in a jet liner from my abode on Mount Meru. Many thanks, as always, to Martin Goodey and Anabel Harries for providing me with so many excellent photos.